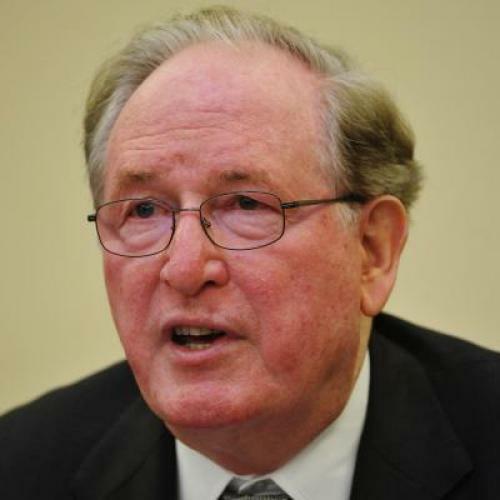 When West Virginia Senator Jay Rockefeller announced this morning that he won't seek reelection to the Senate in 2014, political commentators immediately downgraded Democrats' chances of holding his Senate seat. Politico wrote that Rockefeller’s retirement put the seat in deeply conservative “in play,” while The Fix’s Sean Sullivan said that Rockefeller’s retirement "boosted" Republican hopes. But Rockefeller was already in trouble, and another Democrat – one without his anti-coal baggage –might be better positioned to fend off Republican Representative Shelly Moore Capito. West Virginia Democrats only succeed at the state level by distancing themselves from the national Democratic party on coal and gun control. Despite the so-called “War on Coal” and the massive unpopularity of the Obama administration in West Virginia, this blueprint continues to work for Democrats in the state. Earl Tomblin won an open gubernatorial contest by 5 points in November, while Joe Manchin won an open Senate seat by 10 points in 2010. Tomblin and Manchin's pro-coal stances arguably made the difference. Even though voters liked Manchin personally and approved of his performance as governor, Manchin trailed by as much as five points in early October after Republicans linked him to the national Democratic Party. Manchin later retook the lead, but only after running an advertisement in which he took “dead aim” at the Cap and Trade bill—with a rifle. Since Obama became president, Democratic candidates in other coal-country states have performed well beneath historic Democratic benchmarks. Rockefeller was not well positioned to run as a defender of the state’s coal industry. Rockefeller voted for the McCain-Lieberman Cap and Trade bill in 2003 and didn’t take a vigorous stance against the 2009-2010 Cap and Trade push, even if he never ultimately supported it. This summer, Rockefeller was the only member of West Virginia’s congressional delegation to oppose legislation blocking an EPA rule targeting mercury emissions from coal-fired plans. In a floor speech, Rockefeller alienated coal advocates in his home state, contending “many who run the coal industry today would rather attack false enemies and deny real problems than find solutions." In the same speech, he said that coal supporters should stop “pretending climate change doesn’t exist.” Polls suggested that these stances had taken a big toll on Rockefeller's popularity. An August poll found Rockefeller trailing Capito by 4 points, 44-48, while an October 2011 PPP survey also showed Rockefeller trailing Capito and with a 47 percent approval rating even before last summer’s provocative statements. The PPP poll found Manchin leading Capito by 11 points in the same survey—15 points better than Rockefeller. In 2008, Rockefeller won reelection with more than 63 percent of the vote in 2008, but that was before the so-called "war on coal.". If Democrats run a pro-coal candidate to replace him, then Rockefeller's retirement could actually lift their chances. Of course, no such candidate has yet emerged to take on the popular, well-known, and moderate Capito. But the lackluster performance of recent Democratic Senate candidates elsewhere in coal country raises the very real possibility that Rockefeller's stances and statements were outright disqualifying in West Virginia.